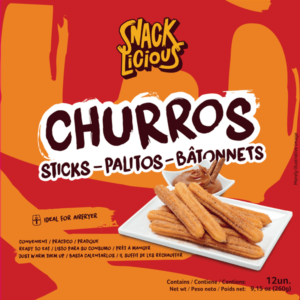 Churros are one of the most popular treats in North America. 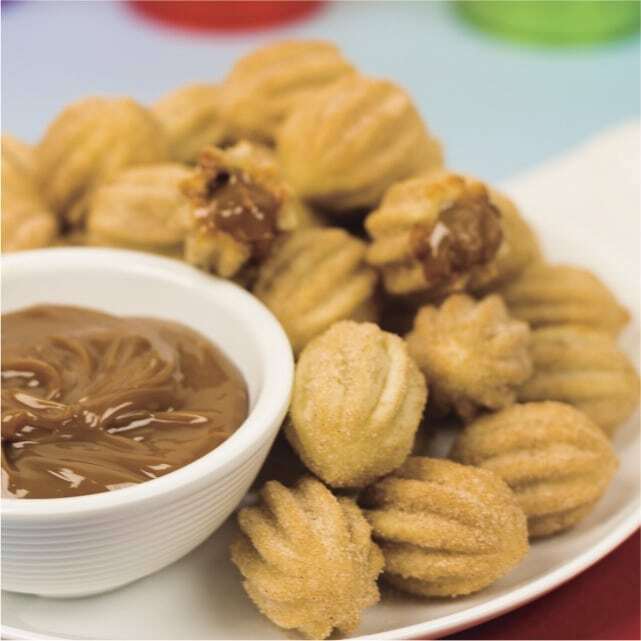 Mini Churros filled with the #1 selling flavor – Dulce de Leche. Soft @ sweet dough with a slight crunch that gives an explosion of flavor- inside and out! 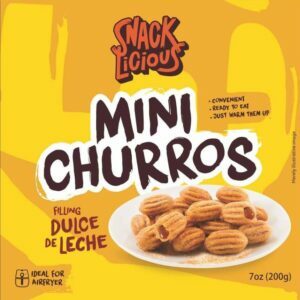 Mini Churro can be baked in an oven or air fryer. Ready to ear in minutes -perfect for the busy Mom and party treat. 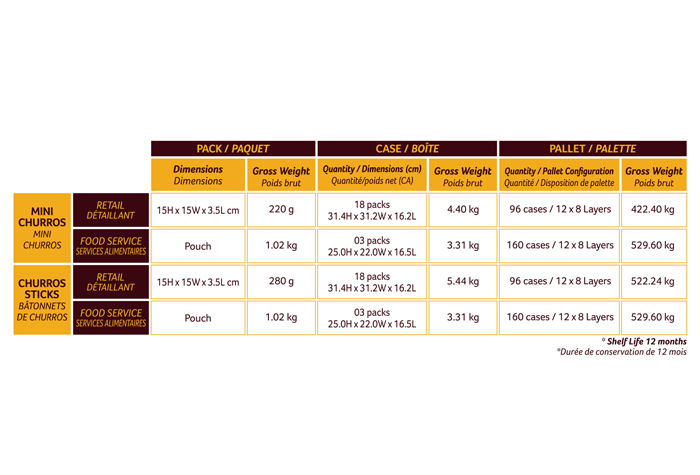 And easy for the restaurateur who wants to add a fun treat to their menu.